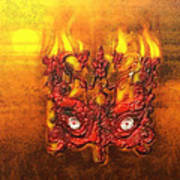 This illustration is reminiscent of H.P. 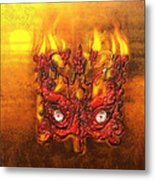 Lovecraft's story the Masque of the Red Death. It's an early illustration I made some years back and started out as a clipart. 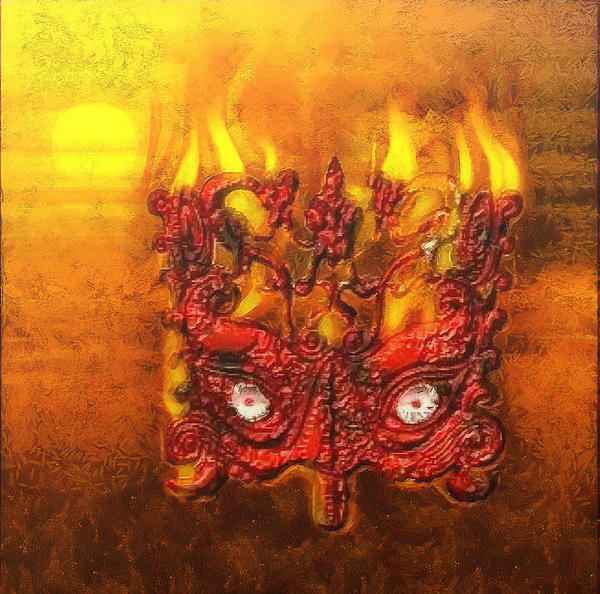 I turned the mask red, added fire and the background to give it the terror it reflects.